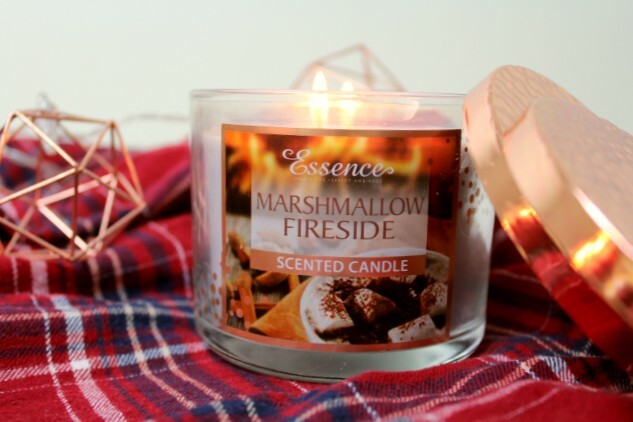 I spent an embarrassing amount of time searching my local B & M last year to pick up one of these Essence candles. I was am obsessed with Bath and Body Works and wanted to own one of these dupes SO BADLY, but they'd all sold out by time I got anywhere near a store. So, this is my friendly little PSA: GO AND GET THESE NOW BEFORE THEY SELL OUT. Owning a collection of Bath and Body Works candles is basically the dream, but 1.) I live in the UK and 2.) they're hella expensive. These beauties are only £3.99, which gives you the perfect excuse to stock up on a tonne of them. In terms of their dupe-ability, they're pretty darn good. I've got the B&BW Leaves candle at the moment, which is possibly my favourite thing I own?? So I had a little check to see how they compared. Size wise, they are slightly smaller, but not too much so that it makes much of a difference. They also only have two wicks rather than three. This doesn't bother me, but if you're looking for a three wick-er, this isn't your jam. Their lids are copper coloured, whilst B&BW's are gold, but let's face it, who's going to be disappointed to have a little extra copper in their life?! They also throw their scent really well. For under £4 I'm so impressed with how strong they smell. And marshmallow fireside is a full on DREAM. It's everything I want in an Autumn candle in a jar. I'm so envious that you can get hold of them easily! I need Bath and Body Works to come to the UK! My candle collection just seems to be growing and growing, but they're so great to have at this time of year! These sound amazing! I am a candle addict but am running low at home so need to re-stock - I might have to give these a go! You should - they're so affordable and a really nice size! 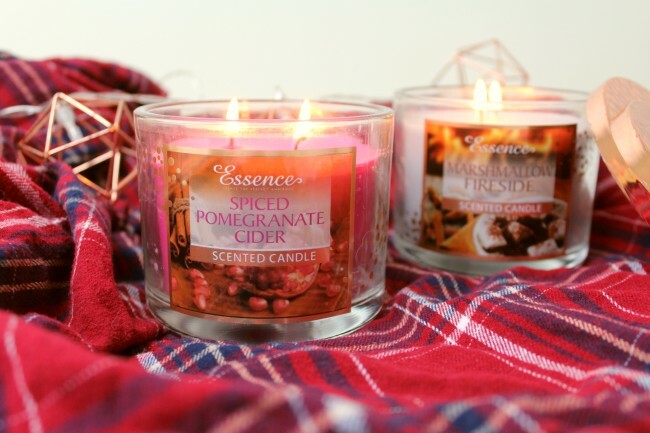 I picked up the Spiced Pomegranate Cider one this week and it smells incredible. its the first Essence candle I've tried and I'm so impressed. Marshmallow Fireside sounds like it'd smell amazing, I definitely need to pick up some more asap!